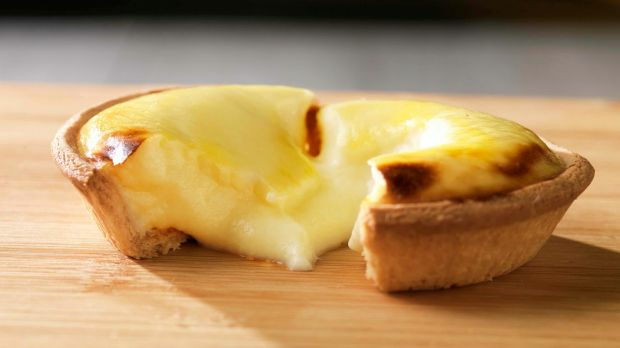 Forget minced pies, this Christmas we're switching to Hokkaido cheese tarts. Already big in Asia, they're baked fresh each day to a Japanese recipe using three secret cheeses. The velvety filling balances sweet and savoury the same way cream cheesed-based desserts do – worth trying at $3.80 each. The Melbourne Central store is already open, with QV opening this week and three more stores (Chadstone and Box Hill in Melbourne, World Square in Sydney) launching before the end of the year. Follow @hokkaidoau for updates. 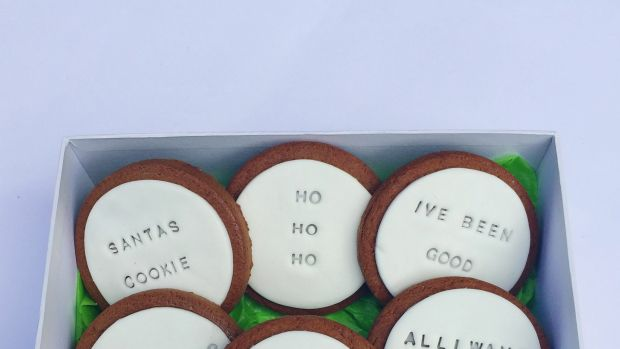 Gelato Messina is poking a candy cane at Mike Baird this year with their "Lock Out Claus" Christmas cake. Available to order at gelatomessina.com (pick up from Melbourne and Sydney stores), it's a spherical, salted caramel gelato Santa wedged in a chimney and accompanied by a bottle of vanilla brandy custard. 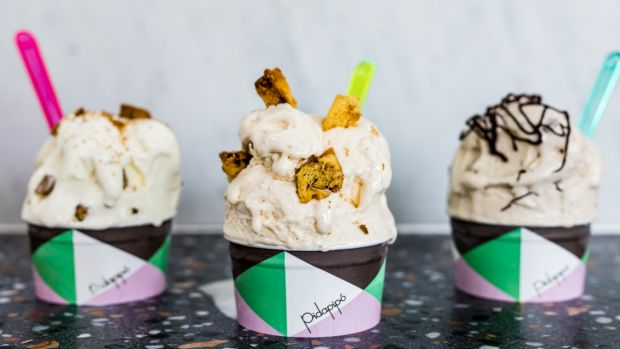 Sydney's Cow and the Moon also has six gelato Chrissy cakes ranging from traditional Christmas pudding to festive logs, while Pidapipo in Melbourne has introduced three new gelato flavours for December, including Christmas pudding with chocolate chip, eggnog with fried panettone and ginger gelato with gingerbread (available in store or via UberEats). In this week's addition of kitchen novelties we want but don't need, this Winex tap attachment shoves into a hollowed-out watermelon and turns it into a keg. Fill a hollow watermelon with your punch or summer cocktail of choice (try fresh mint, soda, vodka and watermelon juice), then attach the shank and faucet. The kit also comes with a coring tool and faucet handle. 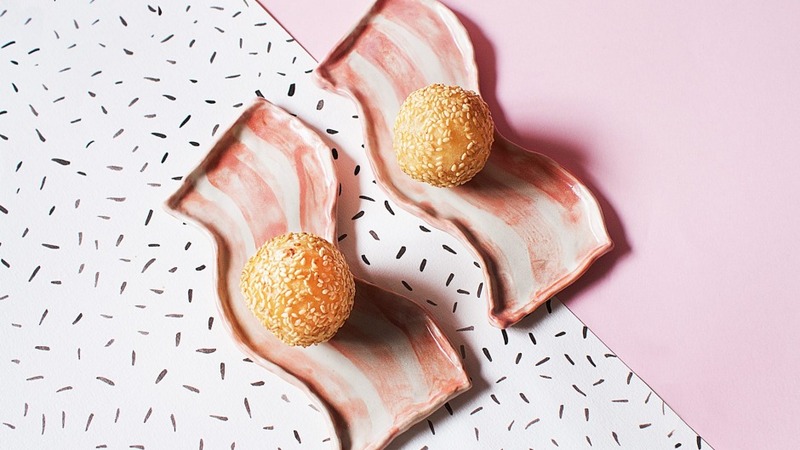 Get them from kitchen and homeware retailers, or online at kitchenwarehouse.com.au, in time to entertain at Christmas or to stuff some stockings. We've found the ultimate picture story cookbook. Knives & Ink by BuzzFeed books editor Isaac Fitzgerald and illustrator Wendy MacNaughton tells the tales behind the tattoos of 65 chefs from all over the world, alongside some of their signature recipes. Whether it's Danny Bowien of Mission Chinese Food remembering his mother with angel wings on his forearms or Dominique Crenn (two Michelin-starred Atelier Crenn) reminding herself to do "anything in life that you put your heart into" – ink always has a story.